The City of Wilmington today released a Salary Benchmarking Study (also referred to as a Salary Compensation Report), which it commissioned in order to review salaries across its executive and managerial (E&M) pay plan. There are approximately 130 E&M employees in the City’s total workforce of 1,100. While the study reviewed 100 of the City’s E&M positions, it found comparable salary information for just 76 of them. 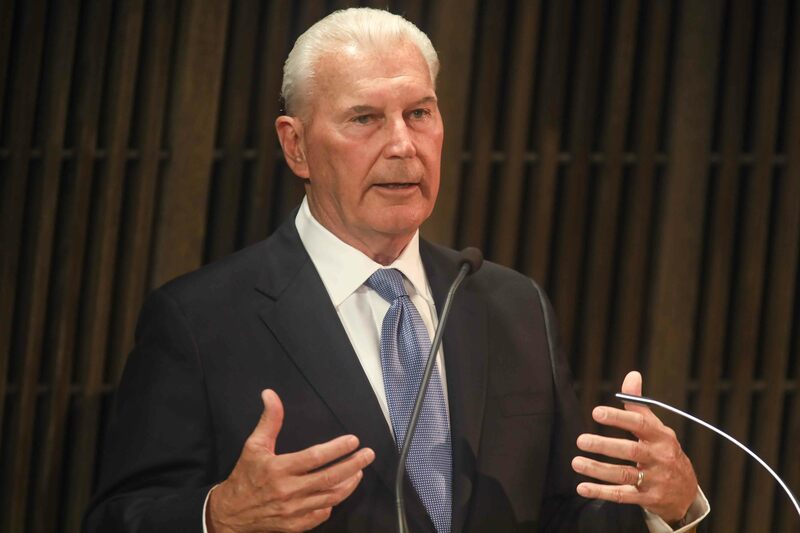 Mayor Mike Purzycki said the City leadership positions that were evaluated are critical to the effective and efficient delivery of programs and services to the public and require talented professionals to fulfill these roles. The City Department of Human Resources engaged PFM Group Consulting, LLC (PFM) to perform the study that was completed last week. To conduct its review, PFM benchmarked actual incumbent base pay and pay ranges where applicable for over 75 executive, managerial, and selected elected positions in relation to five local public employers including the State of Delaware, New Castle County, the City of Newark, the City of Dover and Philadelphia. In addition, PFM evaluated overall regional pay levels across the broader labor market as reported in the Federal Bureau of Labor Statistics (BLS) data for those occupations such as law, accounting, and engineering where there was some relationship to the City’s positions. In its study, PFM found that Wilmington’s executive and managerial pay ranges are competitive with the benchmark public employers only at the City’s maximum salary. It also found that in a significant subset of these cases, current salaries for Wilmington employees are at the lower end of the established pay range – and often somewhat below the regional norms. In these instances, reports PFM, the City’s flexibility to improve pay within the allowable or budgeted range should be beneficial for addressing specific recruitment and/or retention difficulties. In evaluating the findings from the benchmarking study, PFM noted several important limitations. The company said the focus of the study is on base salary levels, an important determinant of overall compensation competitiveness. In some cases, however, differences in fringe benefits, pay premiums, and other forms of compensation (e.g., car allowances and/or take-home municipal vehicles that may be available in some communities) can also be important factors. Differences in benefits can also be particularly important for contextualizing comparisons to pay in the overall labor market, particularly given that most private-sector employers offer 401(k) defined contribution retirement benefits, rather than the traditionally defined benefit pensions more prevalent in the public sector. This initial benchmarking review does not encompass all of these elements of total compensation. PFM said that while it sought to identify reasonably well-matched positions across employers as part of the study, they noted that different employers feature varying organizational structures, provide different services, and have very different scales. For example, a Finance Director in one City may oversee budget development as well as accounting and revenue collection, while budget development in another jurisdiction may be led by a Budget Director who reports directly to a Chief Executive and not to the Chief Financial Officer. PFM said it can be particularly difficult to identify close matches for leadership positions in Wilmington given the City’s unique status as the largest urban government in Delaware. The next largest municipality in the state, the City of Dover, has barely half the residential population of Wilmington. The other larger public employers in the state, New Castle County and the State of Delaware itself, have very different functional responsibilities, and the largest public employer in the broader metropolitan area, the City of Philadelphia, has a much bigger scale. While executive and management pay across these various reference points is relevant to and informative for Wilmington, PFM said these benchmarks are far from “perfect twins,” and said the City should not be expected to pay exactly the same as these other public employers. Even with the limitations noted, PFM believes that the findings of the study can help to inform Wilmington government decision-makers as they work to ensure a competitive pay strategy, improve executive and managerial retention experience, and recruit strong talent for these important public service roles going forward. PFM said particularly where the City is experiencing specific recruitment and retention pressures across this key group of employees, it believes that the findings can help to identify when pay levels are likely to be a significant factor that should be addressed.